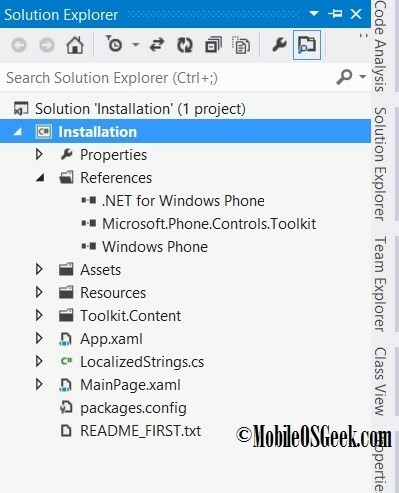 The installation of the Windows Phone toolkit to your project can be done using the NuGet Package manager Console. Ensure that you have the Nuget version >=2.1 for the Windows Phone 8 projects to avoid the below error when using it in the Windows Phone 8 project. 1. 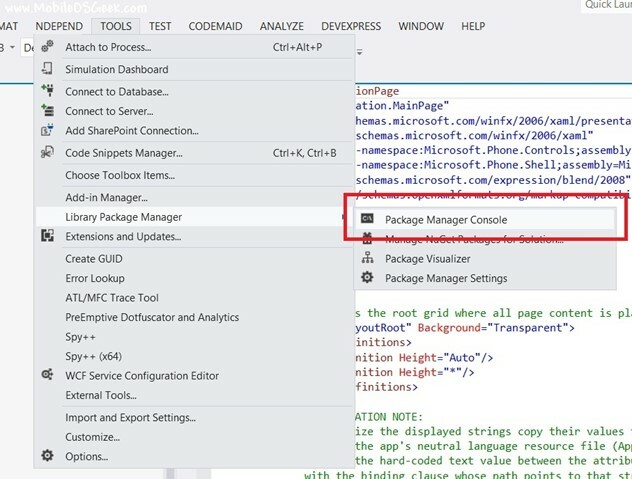 In Visual Studio 2012, select Tools -> Library Package Manager -> Package Manager Console. 3. This will install the Windows Phone Toolkit and copy the necessary assemblies to your project’s packages folder. 4. The Microsoft.Phone.Controls.Toolkit dll will also be referenced in your windows phone project. To add use the components of the windows phone toolkit in the page, add the below namespace definition to the XAML file.